On Thursday FIFA secretary general Jerome Valcke said that the organisation had to learn from delays which have posed a series of headaches in the run-up to the World Cup in Brazil. Valcke was talking at a Local Organising Committee meeting at Rio de Janeiro’s iconic Maracanã stadium. "It is a lesson and definitely we will act differently and will have to find a different way of working," said the 54-year-old. The task of readying 12 venues across a continent-sized nation with poor transport infrastructure has seen late delivery of stadiums become the norm. 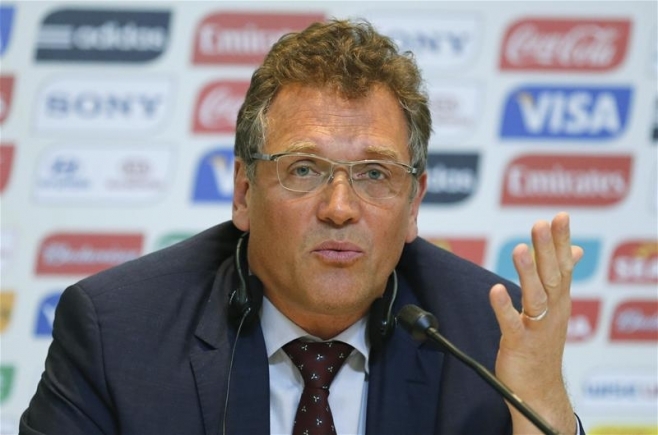 "We will have 12 host cities; we will have 12 stadiums," stressed Valcke. "But there is work to do. Time is flying," he completed. Three stadiums are yet to be completed and there are concerns over who foots the bill for temporary facilities which neither local authorities nor stadium owners want to pay. "We are late, we face difficulties and risks right up to the last minute because we haven't tested the installations, we need time to test them."